Wind, rain and cold, sun and warmth: there have been few weather conditions that the Little Forest Folk haven’t seen this week! The play went on in creative and imaginative ways, however, with the children beginning to develop amazing story-telling abilities to share their notions with their friends. Sometimes this works with everyone sat or stood around enraptured with tales of smelly, hairy crocodiles and friendly pterodactyl dinosaurs. At other times, the stories have been far more immersive and ‘The Gruncher’ is now a dreaded and desired character in the children’s imaginings, as well as their walk outs from the forest. If your child is interested in ‘The Gruncher’, it is a beast from the Roald Dahl story ‘The Minpins’. Alongside all of this is a great uptake in independent reading from the children, who are either working through the books using the words and pictures, or reimagining what the pictures are telling them. Key letters are being spotted and numbers too are all supporting the children’s reading ability this week. Dens have been a strong focus for the Little Forest Folk through both the wet and dry periods and this has supported their physical skills with lots of tricky things to do to ensure their shelters stay up. Knot tying has shown how brilliantly the children can focus on minute activities and with several corners that need tying down, team work has improved dramatically. 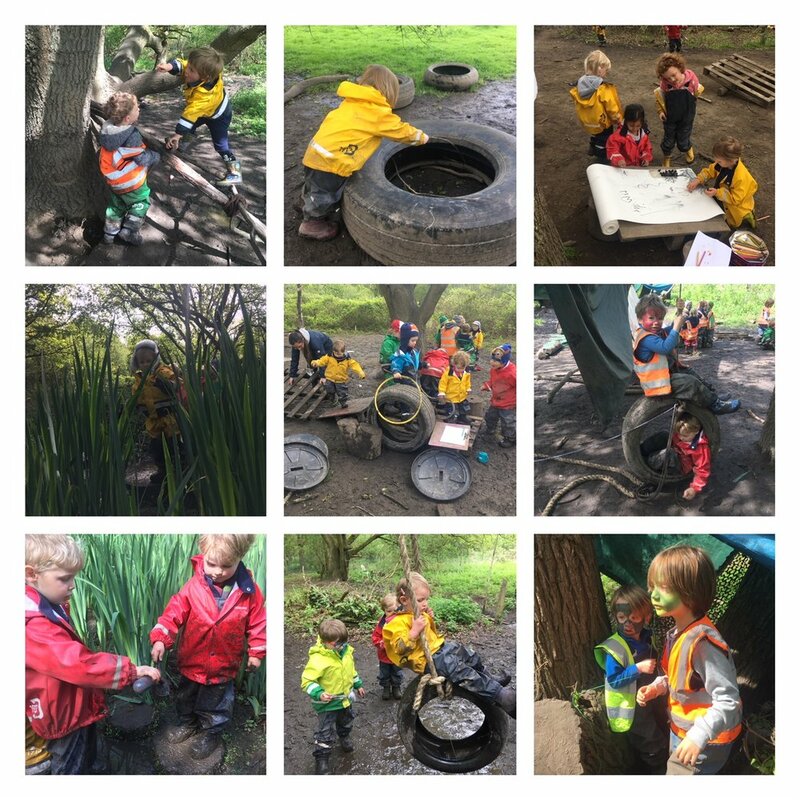 Sharing ropes, tarps and then constructing the insides of the dens has revealed how successful the Little Forest Folk are when they put their heads, and hands, together.